At Starfish Signs and Graphics, our team is the key to our success. Our employees are experts in design and fabrication, and we are all dedicated to high quality products and the complete satisfaction of our customers. 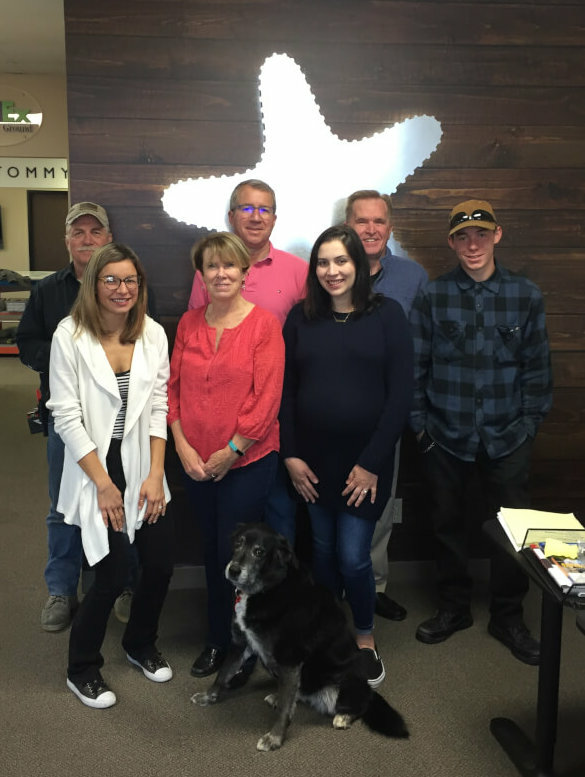 Starfish Signs and Graphics is woman-owned business with Laura as our CEO and majority shareholder. Laura plays a key role in setting the vision for the Starfish Team, and in building and motivating the team on an ongoing basis. Laura also embodies the expertise and tenacity that we bring to the permitting process – in fact, Laura will be your most ardent advocate in getting the permit for the exact sign that you want on your building. Laura also spends a lot of her time and energy on work with nonprofit and community organizations. She is active in the Rotary, the Chamber, The Ocean Institute, and Casa Romantica, to name just a few organizations. You may well find her out and about in San Clemente and South Orange County volunteering at local functions and fundraisers. Prior to Starfish Signs, Laura had a long career in Occupational Therapy, working in both orthopedic clinics and assisted living facilities. It was this empathetic, hands-on career that forms the foundation for Laura’s commitment to customer care. Laura is committed to understanding your requirements, and doing everything possible to ensuring that the Starfish Team delivers on all aspects of your project. Mike is the operations mastermind here at Starfish Signs & Graphics. Through the use of Lean Manufacturing and other continuous improvement methodologies, he has created a dynamic culture that values continuous learning and improvement, and a commitment to excellence. Although Mike’s Ph.D. in Chemical Engineering doesn’t exactly involve sign manufacturing, Mike’s attention to detail, and his skill at complex project management serves our customers well. In fact, maybe that is why we particularly gravitate toward novel and complex projects. We are committed to building what you want, and if that involves a few experiments along the way, that is fine too. We have built more than one prototype, to test out new ideas, to refine a design, and to ‘value-engineer’ a project to meet a customer’s budget target. As a former Pittsburgh native, Mike loves the Pittsburgh Steelers and will be happy to talk with you about their prospects for the upcoming season. Nicolette is Starfish’s Lead Designer, and Production Team Leader. Nicolette brings a breadth of training and experience to her position. Her university education began with a Bachelor’s Degree from UC Santa Barbara in Communication and Multimedia Writing in 2013. Epitomizing the motto of continuous learning and development, Nicolette then completed an Associate’s Degree in Graphic Design at Saddleback College in 2014. At Starfish Signs, she specializes in working with clients to design novel, custom signs. Nicolette’s sign design portfolio at Starfish Signs is very broad, and it includes lobby signs, building and monument signs, vehicle graphics and trade show graphics. Nicolette is particularly skilled at working with customers to discern and understand their vision, and then to translate that vision to a compelling design. Outside of the office, Nicolette enjoys spending time by the beach and taking more classes at Saddleback, and she loves cooking and visiting local restaurants. Dave Werner brings to Starfish Signs more than 15 years of sign installation experience. From illuminated channel letters to vehicle graphics to lobby signs, Dave has seen and installed almost every type of sign that a client is likely to encounter. Within his varied experience, Dave is an expert at exterior electrical signs, particularly in difficult-to-access locations. Dave estimates that he has installed over 1,500 building signs over the course of his career. Dave is another Starfish city permit specialist. Having worked in numerous cities throughout Orange, LA and San Diego counties, Dave is very familiar with the permit process in most cities. This allows him to offer specific guidance on obtaining fast permit approvals for most new signs. Dave enjoys custom signs and complex projects, and he particularly enjoys driving around Orange County and seeing his work. When not installing signs, Dave can be found renovating his home, spending time with his dog Dakota, and watching his beloved Green Bay Packers. Prior to joining the Starfish team in 2013, Jim spent more than 15 years in other sign fabrication, printing and installation positions. Although Jim can fabricate signs using almost any material, he has particular expertise in working with wood. From hand-finishing sandblasted wood signs to putting a furniture quality finish on redwood and cedar, Jim has the skills needed to create truly handcrafted signs. Our Design Team can envision almost anything, which means that Jim has the job of translating those designs to a physical reality, something he does quite well. Jim has developed significant expertise as a CNC Router operator. Starfish’s MultiCam machine is quoted as being able to rout to within 0.001”, but it takes a skilled operator to truly make that happen. From aluminum to wood to acrylic, Jim combines the precision of our CNC machine, with hand-painting and finishing to create signs that truly represent each client’s unique brand. And Jim’s skills extend well beyond sign-making. He designed and built a 27’ foot wood boat from scratch, and that boat has been seaworthy for 21 years. And one other interesting fact about Jim: prior to the sign business, he worked for a number of years as a commercial fisherman. So if you ever want to know the weather forecast, ask Jim! 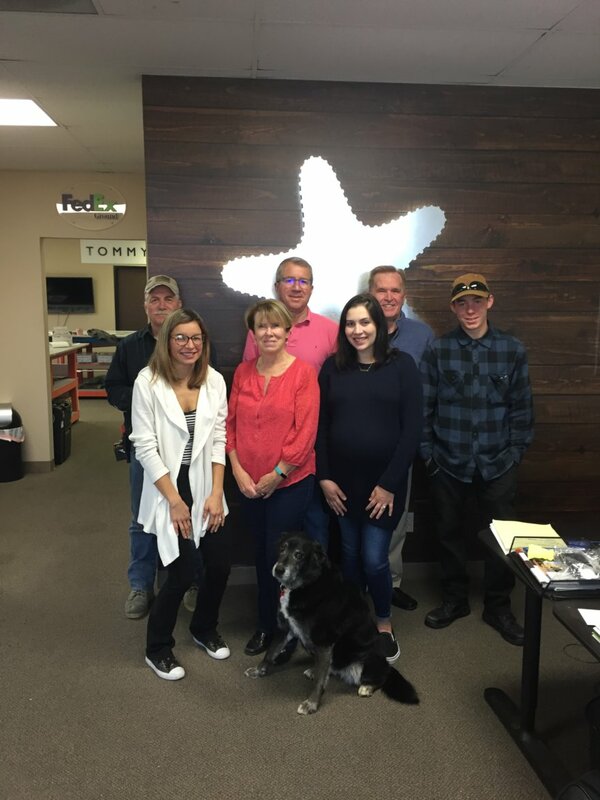 Jim epitomizes the Starfish culture – he builds signs that are truly custom, based on the use of high quality materials, cutting edge tools, and a focus on quality that brings it all together into a one of a kind finished product.